401(k) Loans Have Always Been a Tax Planning No No…Until the Trump Tax Code Changes!? Part of giving good tax planning advice is understanding short term emergency needs, but also human nature. Often, before TCJA (Tax Cuts & Jobs Act) people in a cash crunch or in other emergencies would look to their 401(k) for a loan. After all, that’s where a great deal, if not all, of their “savings” are accumulated. However, there are several problems with that thought. First, a 401(k) isn’t “savings”, it’s a “retirement” plan, and the structure of the assets inside are not generally cash, so taking a loan could mean selling an asset and losing growth opportunity that could be critical to the fund’s objectives. Secondly, the rules on repayment to the 401(k) account might be fine while you are still an employee, but what if after you took a loan you were fired, or had to quit for some reason before the loan was repaid? The 401(k) loan would have to be repaid within 60 days, or it would be considered a distribution. Or even worse, if you are under age 59 1/2, an early distribution, which would not only make it taxable income, but would result in a 10% early withdrawal penalty as well. OUCH! Example: Bob makes $120k a year as a floor manager for a small manufacturer. His son is in an Ivy League school and his plan had been to use a savings account for tuition, but unexpected events in the prior year left that account with a very low balance. He borrowed $40k from his 401(k) and plans to pay the loan back by paycheck deduction over the next year. He takes the loan in September, then soon after, the owner sells the business, and Bob’s job now belongs to the new owner’s son. He has earned $80k to date, but is now unemployed. He also receives pep pay (sick and unused vacation) of another $14k. Under the old rule, he only has until November to repay the loan. Not daring to repay the loan, from fear of remaining unemployed and running out of cash, he would have the following bad tax outcome: $94k of taxable income, plus the $40k loan, which when not repaid within 60 days also becomes taxable income, plus a 10% tax penalty on that $40k which will result in an additional tax due of $4,000. As additional icing on the cake, his accidental $134k of earned income also puts him in a higher tax bracket. Because of this potential disastrous outcome, when asked, we would recommend funding emergencies from almost any other means, but never, ever a 401(k) loan! But now, under TCJA, we are at least giving it new consideration. We haven’t outright reversed our stance, but the new rules do expand the group of people that we might advise to go ahead with 401(k) loans. Under the new rules, the time frame has been expanded so that a 401(k) loan can be repaid at any time up to the filing of the individual federal income tax return on April 15th (or later on extension) following the year of unemployment or plan termination. 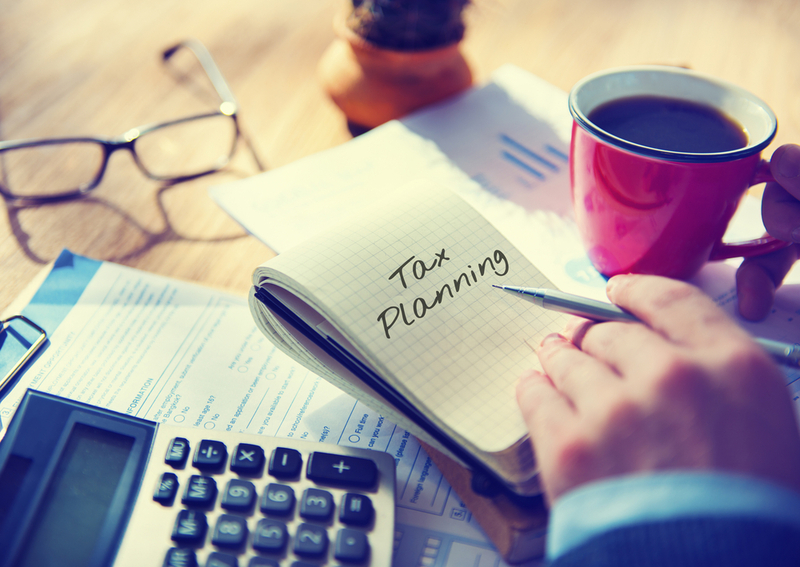 That creates new headaches for plan administrators, but is a very comfortable period of time for people to move the income into a new tax year, or find footing to repay the loan and have it never become taxable at all. It doesn’t change the “saving” assets vs “retirement” assets dynamic, but it is still a significant difference, and for many scenarios, may shift the answer to the “should I borrow against my 401(k) plan?” question to the yes column. More Clarity on the New Tax Rules From the IRS Are Out!